IOWA CITY, Iowa—ACT’s Marten Roorda has joined the CEOs of more than 500 prominent national organizations in supporting specific steps to advance diversity and inclusion in the workplace and throughout society. The chief executives met November 15 in New York at the second annual “CEO Action for Diversity and Inclusion™” conference. Launching the new “Check Your Blind Spots" unconscious bias mobile tour, which will make 100 stops across the country and engage one million people. Initiating the "I Act On" pledge for individuals to commit to mitigating any unconscious biases, and act on encouraging more inclusive behaviors in their everyday lives. Organizing a "Day of Understanding" in which organizations, including ACT, will hold a day of candid conversations to help people embrace differences. One-on-one conversations with every team member, from every background, to discuss what motivates them and how best to develop and support their diverse talents, interests and abilities. 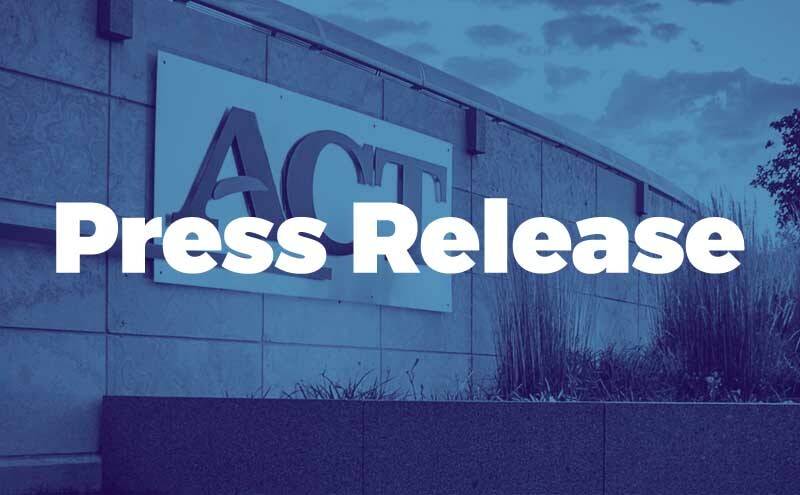 Monthly celebrations that highlight the many cultures and personal characteristics present at ACT, and that explore how those differences help ACT fulfill its mission. A program through which team members learn how biases can affect their work and the work of ACT. Team members are given tips to mitigate biases that may exist. The member companies of the CEO Action coalition employ more than 12 million people. Research indicates 78 percent of Americans want companies to address social justice issues. The conference is an opportunity for CEOs to learn from fellow leaders, and to gather ideas than can drive progress within their organizations around diversity and inclusion. For more information about the initiatives, visit ceoaction.com.